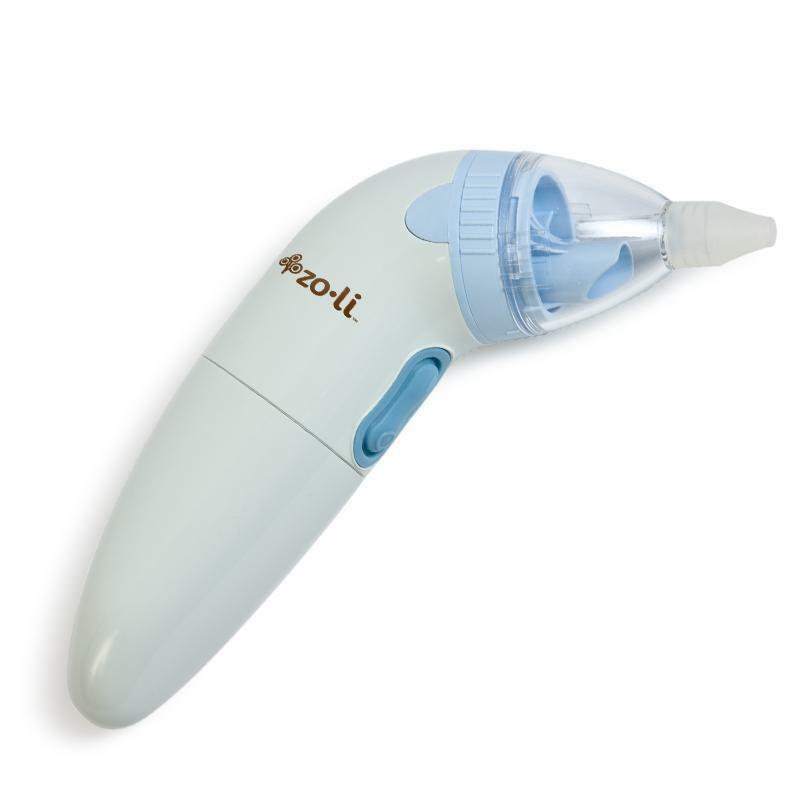 ellehermansen: Buzz b. the oscillating nail trimmer by ZoLi! One of the most concerning things that was on my mind (and most new mothers) - almost obsessively so - was trying to figure out how I would cut the little girl's nails. I was pondering this even before she was born. I heard so many horror stories of parents cutting the skin and I knew it would be my job to do this, since the hubby puts on the Soft Paws for our cats. After a little bit of research, I came across the oh-so-innovative Buzz b. by ZoLi! It's essentially a little sanding machine for babies' finger nails. It spins one of four interchangeable, soft, emery board type pads. They have corresponding colours depending on how old your little one is, with extra tough sandy scratchiness - as baby's nails get harder with age. Edie graduated from the pink pad (0-3 months) to the blue pad which is a little rougher, for 3-6 months - even though she is only 2 months old. I take these suggestions as a guideline as you will know your baby's nails best - and feel what is working for you or what isn't anymore. Edie has crazy strong nails so I felt it was fitting to move up. But, no matter what - this machine is so amazing and it just "tickles" their little fingers as they sit there, as it neither touches nor harms the surrounding skin. Edie actually falls asleep, she loves getting her nails massaged down so much! What a relief! I remember the second morning of her life, buzzing down her fragile, paper-thin, little nails with the pink pad. I recall testing it on myself first as I was a little skeptical and scared - being a new mom - how this would work on an infant so tiny! The Buzz b. worked its way around her little nails so gracefully, that I knew it was one of the best inventions ever! My favourite baby store Babybot carries this life-saver for the new mom here - and offers, of course, free shipping! I have been so impressed with ZoLi and the buzz b. that I also bought a 100% silicone munch-clover teething ring and a pack of 2 gummy sticks. These gum-massagers will be a great introduction to dental hygiene and a good, soft transition to the toothbrush. 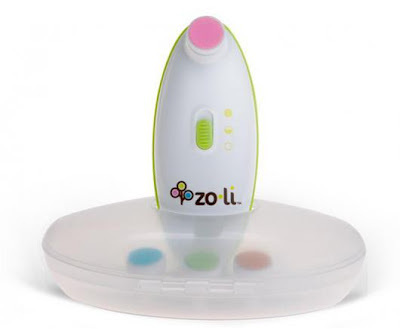 Everything ZoLi makes is BPA and phthalate free, too! I highly suggest the Buzz b., along with other ZoLi products, as they are pretty amazing and innovative! What a neat invention. I can't even think of cutting my granddaughter's nails. Her mom waits until Fiona is asleep and then tackles the job. Gotta look into one of these for the next little one.